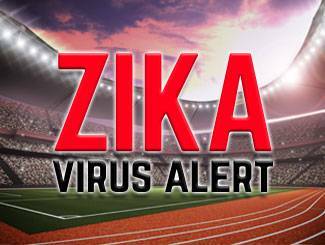 A Gillette physician is cautioning those who are traveling to the Olympics in Rio to take extra care and precautions due to the Zika virus’ prevalence in the region. Timothy Feyma, M.D., a pediatric neurologist, heeded his own advice in recent weeks when he canceled a trip with his wife, who is pregnant, to southern Florida – an area where mosquitos that carry Zika (Aedes aegypti and albopictus) live. He believes the impact of the virus can be detrimental, especially among women who are pregnant or considering becoming pregnant. He also echoes the Centers for Disease Control and Prevention’s caution, and advises that returning travelers may unknowingly bring Zika back to the U.S.
Women who have been pregnant while contracting the virus have given birth to babies with microcephaly – a condition associated with an abnormally small head and, more specifically, a small brain. Gillette treats conditions related to microcephaly such as cerebral palsy, seizures and developmental disabilities. The medical needs of children with microcephaly can be extensive. Unfortunately, there is no treatment to reverse microcephaly after it has occurred. There is also no vaccine for Zika. Sometimes people who get the virus don’t show any symptoms at all. That’s concerning, Feyma said, because people could unknowingly bring the virus back to the U.S. After it’s contracted, men who have the virus can pass it through sexual transmission. Even more concerning, if a mosquito bites someone who is infected, it can get infected, bite other people, and possibly infect them (though such a case hasn’t yet been seen in the U.S.). To protect yourself, use precautions such as staying indoors and inside screened areas when possible. Be alert during daytime hours. That’s when mosquitos that spread the virus are most likely to bite. Wear long pants and long sleeves when outdoors. Treat your clothing with permethrin or buy pretreated items. Liberally apply bug spray to prevent bites. Use Environmental Protection Agency-registered insect repellents containing one of the following: DEET, picaridin, IR3535, or oil of lemon eucalyptus (para-menthane-3,8-diol). Always follow label instructions. Use precautions to prevent spreading the virus to others when returning home. That includes protecting yourself from mosquito bites and limiting sexual contact. For more information on the Zika virus visit the Centers for Disease Control and Prevention. The arrival of the Zika virus in the U.S. has raised awareness of the hidden risk of viruses, particularly those that cause problems for pregnant women and their babies. Zika, however, is only one of several viruses and conditions that can have an adverse outcome on a child in the womb.